When I started Working Women’s Wealth, I often thought to myself, “Why would anyone want to listen to me? Who am I to possibly do this? There are so many more experienced people out there!” It has been a long journey from feeling like a social media imposter to become a soft influencer. 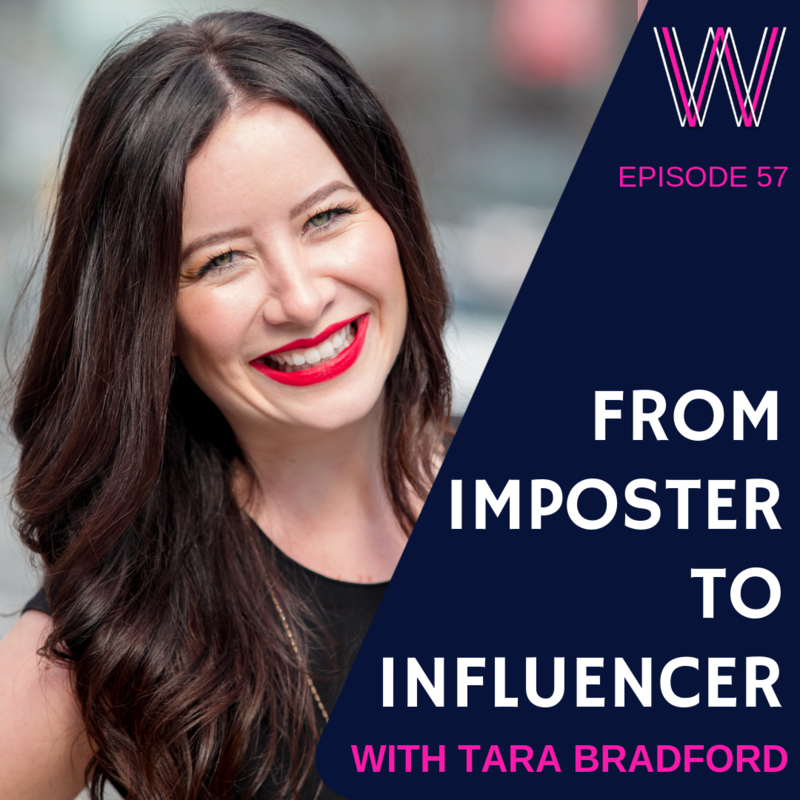 I chat with Tara Bradford, a publicity strategist and international speaker. Tara helps her clients design their reputations around their message. A publicity strategy is more than just website traffic and social media followers. It is about the building trust and credibility to your message. After all, we all have something valuable to share with the world! Be honest with what you want and embrace your reputation! Don’t wait to be asked or invited! Scale your outreach with a small audience first. In this way your message will be polished by the time you scale up! Be kind to yourself! When you worry about savings, mortgage and insurances, we often overlook the big opportunity. Investigate your earning potential! You can decide how much money you make. Delve deep into what and how you want to make money! And lastly, we talk about Tara’s next BIG steps! You can learn more about Tara on her website and take Tara’s 5 Day Publicity Challenge! If you enjoyed this podcast, we suggest listening to power in quick brave targets, building the ultimate brand and mindset mentor. Lisa Linfield: 00:09 Hello, everybody, and welcome to today’s episode of Working Women’s Wealth. Today I’m joined by Tara Bradford, who’s a publicist, a strategist, and an international speaker. Hello, Tara, and thank you for joining us. Tara Bradford: 00:36 Hi, Lisa. Thank you for having me. Lisa Linfield: 00:39 How did you get into the world of doing publicity strategy? Tara Bradford: 00:46 The short answer is, I ended up accidentally doing publicity for myself. My first year in business I was featured in the media every two weeks for an entire year, and people started asking me how I did it. At the time I was getting featured in stories around women’s leadership and gender equality, and I still do that work, but now I also have a portion of my business where I teach other thought leaders how to do the same so they can spread their message to millions of people. Lisa Linfield: 01:21 Did you go about purposely putting yourself in the media every two weeks? Tara Bradford: 01:28 In the beginning, it was kind of an accident. I did not set the goal to be featured every two weeks, but at the end of 2017, I added all up and I saw how many times I had been featured and I thought, “Wow, that was approximately every two weeks,” which was really interesting. At the beginning of the year, a friend had introduced me to the executive producer of the Dr. Oz Show. That was how it started. I had never thought about publicity. I thought, I’ll just start my business, I’ll start small, I’ll grow just through word of mouth referrals. A friend reached out and said, “I think you should be on the Dr. Oz Show. It would be really good for your business.” So, I said yes, but I didn’t know really what I was getting myself into. That segment fell through, it didn’t end up happening, but that got me curious about how to do it intentionally. How could I do that on purpose. That led me on a path to discover how I can make that happen. Of course, made some mistakes along the way, but eventually got to a place where the tables turned and people started asking me if they could write about me, instead of me asking them if they would write about me. When I saw that tipping point, I realized how valuable laying that foundation was and building those relationships so that I could have people coming to me and asking me to be in their publication or to be interviewed. Lisa Linfield: 03:10 Is there a certain amount of time. So, is there almost a recipe that says, if you’re in 20 articles, that’s when the table start turning or is it different depending on your area and your speciality? Tara Bradford: 03:26 I think around 25 was when it happened for me because I was featured in some places that I probably shouldn’t have been because they didn’t align with my business, but I just did it because people had asked me in the beginning. I think knowing the strategy or the ROI behind it probably could have saved me some time. But for me, it was 25. Lisa Linfield: 03:51 Your kind of encouragement to everybody is to embrace their reputation head on. Why should we all do that? Tara Bradford: 04:00 I think that a lot of people I meet are nervous about being the center of attention, and so when I say embrace your reputation, instead of thinking, “What is everyone going to think? Or is everyone going to think that I’m bragging or full of myself?” If you come from a different place where you’re not afraid and you’re not worried about what everyone’s going to think, and you take control over, “What message do I want to put out there so that it can change the world or change people’s lives or affect the people that I’m trying to reach with my message?” Then it changes everything about what people are saying, but also how you feel about yourself. Tara Bradford: 05:22 I think it starts with seeing yourself the way that other people see you because oftentimes the people around you think happier thoughts, I guess, about you, than you would of yourself because we can be our own biggest critics and feeling like an imposter, we are criticizing ourselves, and so, when we zoom out from that state of mind, like, “Who am I to be doing this?” And we start listening to what other people are saying, we can start to see ourselves the way that other people see us and realize that, who are we not to be doing a podcast and sharing these important messages? Then the second part of it is really being honest with yourself about what you want. I talk to a lot of people who are waiting, they’re waiting to be invited, and they’re waiting to be asked, and they’re waiting to be recognized, and that doesn’t happen. You have to be honest with yourself about what you want and then go after it, and take those action steps towards making it happen because like I said before, it took about 25 times before people started asking me or inviting me. So, in the beginning, you do have to put yourself out there and you do have to risk being rejected, and you do have to get up and try again. The third part of it is really trusting yourself to lead the way, and knowing what that gut feeling means to you. Does it mean to keep going? Or if one door closes, then are you looking for another door or are you trying to get back through the door that’s closed? What makes the most sense for you? I think really noticing how that feels will guide you and lead you the right way. Lisa Linfield: 07:25 Is it the same for everybody? So, regardless of what profession, if you were to get on to Dr. Oz, or to Oprah, or to one of the big famous names, is that the most effective strategy for everyone or are they different nuances depending on what industry you’re in and what you’re hoping to achieve? Tara Bradford: 07:45 I think your industry definitely plays a role in which publications you should be featured in. If you have an audience that doesn’t watch Oprah or it doesn’t watch Dr. Oz, then you’re not reaching the right people. So, while that may look good to have the logo on your website and a lot of people know who Oprah and Dr. Oz are, you’re probably not going to see a spike in your website traffic or sales from a feature that’s not reaching your audience. So, I would definitely consider who your audience is when you’re pitching these types of stories and publications. Also, sometimes reaching a smaller audience is more effective in the beginning. So, my strategy is to scale your outreach to smaller audiences first, before you start reaching national audiences if you’re just starting out with publicity, because oftentimes the people who listen to a podcast that maybe has a few hundred downloads, those people are really dedicated followers and they love that podcast and they trust that host, and they might even have a relationship with the host where they’re friends or they’ve worked together. So, those people are more likely to buy than an audience of millions of people watching the Dr. Oz Show, who trust Dr. Oz, but he has a few people on each show. It’s kind of like when you’re speaking on a panel and there’s five people on the speaking panel and there’s one moderator, you kind of get lost in the sea and you’re speaking to everybody. So, you can actually lose people if you give too much information, if you’re speaking to too wide of an audience, and so the other invisible ROI of starting small and working your way up is really honing in that message so that it’s very specific to the type of person who needs to hear it. Lisa Linfield: 11:01 You’ve mentioned ROI, what is the ROI of a publicity strategy? Tara Bradford: 11:07 It could be multiple different things. The measurable ones would be looking at your website traffic. Do you have a spike in website traffic after someone visits your article and clicks on the link back to your website? Do you have an increase in sales if you’re selling a product online on your website? Do you have an increase in followers on social media? So, it’s about creating awareness. They were right. There were lots of different, and there still are lots of coaches who do similar things to what I was doing. After I was featured in the media, people would get on the phone with me and they would start the conversation by saying, “I don’t want to waste too much of your time, I won’t carry on for a really long time.” So, my sales calls went from an hour to about 20 minutes and people had already decided whether or not they were hiring me before they got on the phone after I had those publicity features. Also to go back to increasing traffic, an example of that would be, a client of mine who was in the last round of my group program. She was featured in an article, she actually wrote the article for a digital publication, and everyone who was reading that publication was ideal client and her target audience. And within the first 24 hours of her article being published, she had 75 people added to her email list. So, it was just based on how she had written it and the value that she was offering. She’s a health and wellness coach and so having 75 new leads in one day was huge for her. Lisa Linfield: 13:59 The point of credibility and building that credibility. So, you transitioned into this through the fact that in your first role in your business, this was the first year and you were in the press a lot. How did you get into that if it was your first year, if it wasn’t as if you had done this forever? Tara Bradford: 14:21 I’ve been in the healthcare industry for 10 years, working with individuals and families who were going through tragedies, they were going through difficult transitions in their lives. So, having that background actually taught me the skills that I needed to be able to coach people through life transitions and bounce back from whatever it was that had happened. So, my initial media features were based on that business and the experience that I brought to it was over 10 years of speaking to families and patients who were going through those difficult times and helping them work through them. Even though my business had only started a few months before, my experience spanned across the decade. Lisa Linfield: 15:16 That’s such an important point because it’s one of the things that, for example, I had when I transition from corporate into financial advice was that, there is always experience from which you draw. So, I’m running a course at the moment and this whole thing of, “But I don’t have any backstory of massive experience,” and it’s like, no, that’s not true. We all have a backstory of experience that gets us to where we are now. It’s just reframing that experience in a way that makes sense in the new context. Tara Bradford: 15:50 Absolutely. I completely agree with that. It’s something that a lot of people struggle with when they’re transitioning from corporate or from their stable job and paycheck into running their own business because they’re going through so many shifts from how they make money, to how they’re seen, to how they define who they are as a person, and so, the initial reaction is to let that go to abandon it and to say, that’s not part of me anymore. I’m moving on to something different. The beautiful thing is, when people can combine all of that experience and use that to propel them forward, you don’t have to abandon who you were before in order to become the person that you are becoming. Lisa Linfield: 16:40 Absolutely. You transitioned into your own business, you kind of went from almost the corporate role and transitioned into your business. Was that an intentional plan or was it that as you got through your corporate role that you saw an opportunity, or was it an intentional parallel strategy? Tara Bradford: 17:00 It was always the plan … Well, it was a plan for two years. I had been working as a critical care nurse and I took a job working in the regulatory department of the hospital which was in the quality department. So, it was a corporate role. I was sitting at a desk Monday through Friday, and when I took that job in my interview, I told them that I was only staying for two years and at the end of that two years, I was either going back to school or starting a business and I ended up starting my business two months later, and I almost made it two years. I didn’t quite make it two years. I was there a year and a half, and the plan was to leave at the two year mark. But six months before that I had this urge to leave sooner. I had been doing it for so long. I had been waking up at five o’clock in the morning, coaching clients in the UK, and then I went to work. Then I came home and I was coaching clients on the west coast and really leveraging the time zones to my advantage so that I could still work during normal business hours for my clients, but it definitely wasn’t normal business hours for me. So, I was working from 5:00 AM until midnight most days, and also working with clients on Saturdays. On top of pitching the media, doing marketing on social media, sales, going to networking events and all of these things and so, a year and a half into it I was feeling really burnt out and just tired. I had not been on vacation or holiday or anything and I decided that I was going to take a leap of faith and I was about 60% ready to leave my job. I thought if I stay the extra six months I could probably be 100% ready, but if I leave right now and have an extra 40 hours a week to work on my business, I could probably get to 100% sooner. So, I was kind of taking a gamble on myself and betting on winning, and I took that leap of faith. Lisa Linfield: 19:20 That’s fantastic. In your plan, what are the phases that you took yourself through and that you coach your clients to get to in terms of those transitions from a permanent salary job into your own business? Tara Bradford: 19:34 The steps that I took. Well, I did not really plan it out super far ahead. Typically, I plan things monthly and quarterly. So, when people ask me if I have a five year plan, I don’t, but I think the steps that someone else could take to transition effectively from that would be definitely to have some sort of savings and know how many months you can survive without a paycheck, just in case something happens. The recommendation is six months. That’s not how I did it, and I would definitely recommend saving six months worth their expenses just so that you can feel secure because what happens when you need money, your entire sales strategy and pitch and conversation with another person actually scares them away because you’re coming from a place of desperation, and people feel that, and so just having that security and knowing that your bills are going to be paid and whatever is coming in is going to come and trusting that, is really powerful just in your conversation, just when you’re talking to people. I think looking back, so, I only had one month expenses saved when I left, and I figured it out it was a bumpy road and it did take me six months to start creating that regular revenue that was coming in where I felt secure and I knew it was coming. So, I think if you already had the money saved, then you could avoid some of those things that I did. That’s probably the best piece of advice I could give. Just being kind to yourself and forgiving for some of the things that do come up. Like, people worry about their pension, and they worry about retirement, and they worry about health insurance and benefits, and when they’re worried about those things they miss seeing the opportunity for a better way of doing those things on your own. An example of that is health insurance, and in the United States, we pay for our own health insurance anyway, even through our employers, and there’s different tiers and different levels of coverage. So, when I figured out how much I was spending on health insurance with my company when I was an employee, I was actually spending more than what I spend now being self employed, but there’s this illusion or belief that you’re missing out on a really good deal by having that security of someone else being in charge of it. So, really looking at the numbers and writing it out and looking at the facts of what is really going on here. That might not be true for everybody, but that was just my experience with it. I think the last one would be looking at your earning potential because with my job, it was very rigid, there was a chart and you got plotted on the chart based on your years of experience and that was the salary that you got, and every year there was a percentage increase. I think it was 4% or something like that. So, it was very planned, very rigid, and there were expectations and that expectation was, every year in January, I will make a little bit more. That also meant a little bit more was going to be taken out in taxes and I probably wouldn’t see that big of a difference on my paycheck. Working for myself, I am in complete control over how much money I make. So, I shifted from thinking, “I’m going to do 4% better,” to, “I’m going to double everything that I do each year.” I think for me having the mindset of setting goals where if I only meet 70% of my goal, it’s still way better than anything I could have planned and really made sure I could meet 100%. But also, it’s better than anything I could have done as an employee because that was so rigid, and so, flipping that mindset of, how much can I make? Is there really a ceiling? What are the limits on what I can do? When I reach those limits, then what do I do? Do I hire employees so that I can take on more clients or how can I start scaling my business so that there are no limits? Lisa Linfield: 24:46 How does one scale your business? What are the strategies that you coach others to use in terms of scaling your own personal business? Tara Bradford: 24:56 I have a six month program where I teach people exactly how to scale the kind of business that I have which is a personal brand. I’m the face of the company, I am a coach or publicity strategist and I work one on one with people, I work in groups, I am a speaker, aspiring author. My book will hopefully be out next year. So, people who really want to be the face of their company or small business and they’re aspiring to be a thought leader and share an idea, so, those are the types of people that I work with. Then we look at what their income streams are and how they can create multiple income streams without creating a lot of extra work. You may have heard that most millionaires have seven streams of income. So, we look at how you can create those streams. It could be from one on one working with the client, it could be a group program where it’s one to many, and you could also get paid as a speaker, you can leverage your book to make money. I know in the beginning of book is a labor of love and it is an investment and it’s definitely not get rich quick, but you can leverage it for different things to be able to increase your sales or leverage it for higher paid speaking and engagements. You can also create passive income streams either through digital products, courses, or through investments. So, I have a passive income expert come in and talk about wealth management. You can collaborate with other people as well. You could do consulting. There’s just so many options. 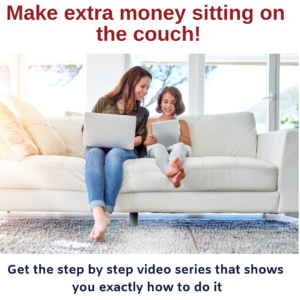 So, we really dive deep into how you want to make money in the future and what that looks like and incorporating your lifestyle into it as well. If you need to be able to travel then you’re not going to create an agency in one city. So, creating a plan that supports your income goals and also supports your lifestyle so that you know exactly what to do. The other thing we talked about is, how do you hire the right people? Because often people will hire somebody, again, from a place of desperation. Kind of like what I was talking about earlier, you get overwhelmed and you have too much work and so you just hire the first person that you think you might need, and it ends up being that that person might not be the best person for that or you could have hired someone else who has a wider range of skill sets. So, really thinking about, who are the best people to hire and who do I really need? Then we get into advertising as well. My theory on how to scale your own audience is to start organically with word of mouth, building strategic partnerships, getting referrals from existing clients because then you’re vetted and those people trust you and the people they send to you then trust you. The second level of trust is with the media because again, you can pay for backlinks but for the most part, you’re not paying to be on Good Morning America or the Today Show or Oprah, and those people have to trust you in order to have you on the show. The next level is marketing. I think marketing and PR kind of go hand in hand. Social media marketing and blogging and things like that where you’re crafting a message and its really catered towards a specific audience and designed to help sell yourself and sell the product. Then the last step is advertising. One of the mistakes that I see people make is they start with advertising and they don’t have a solid audience, and it either takes them longer to target the audience through, like, for example, Facebook advertising, or they have an audience that bought something from them one time because they saw the ad, but they’re not clients forever. I think the clients who start with you at the very beginning, who trust you, they’re referring their friends to you, those people become clients forever, and if you start backwards with advertising, and you don’t have the clients forever, first, as a foundation, you end up needing to create that later. Lisa Linfield: 29:41 So, one of the things that you mentioned was how you sell yourself. For me, that was one of the most difficult transitions from a corporate was, when I worked in a corporate there was a big brand behind me. So, even if I was selling myself for whatever reason, it wasn’t really me I was selling, it was me as a representative of an enormous established brand. The challenge of how much am I worth, and when they’re paying for my services they’re paying for me as Lisa the human. I’ve struggled a lot with that transition and needing to put the Lisa brand up there. How do you deal with that? Tara Bradford: 30:23 Some people say that you can create an alter ego, kind of like Beyonce and Sasha Fierce where you have a company, like her Sasha Fierce is her face of her company, and that’s the person she brings, that’s the person she sells. I approach it a different way, but if that way works for you, then that totally is great. Sometimes I think of that before I go on stage and start speaking. Another way you can look at it is, how can you remove yourself from the product. If you had to put your product in a box, what would it be? What would the deliverables be? What would the outcome be? What do people walk away with. This can be really hard for coaches because they could coach anybody out of any problem. I had that same struggle in the beginning of my business where I was helping people do a lot of different things and I couldn’t put it in a box. That also created resistance for me because I thought, I just got out of a box in corporate, I don’t want to put myself in another box. So, that resistance actually helped me back. Once I put myself in a package that people understand when I said, “I do publicity,” and I take people from feeling like an imposter to building their influence, then it made sense for people. While it is me, people work with me because it’s me and they want to do that work with me specifically, and I’m the face of my company, and my company is my name, but when I put that in the package and I said, “What you get is public relations and this is how you get it through a group program, and this is your before picture and this is your after picture,” then people understand it. If you think of it like a cooking shell, if you had four minutes to cook a meal that takes 45 minutes, and you put all the ingredients in a bowl, and then you put it in the oven, and then you walk over to a different oven and it comes out looking like a work of art, but when you put it in the oven, it looks like a mess, like a soupy mess, people don’t really need to know what happens in the middle in your first encounter with them. They need to know, when I start working with you what state Am I in, and when I stopped working with you, then what happens in my life or my business? The in between is a deeper discussion for later, but first impressions happen in the first 10 seconds of meeting someone. So, to create that first impression where you are selling yourself and your business and your product, you need to be able to talk about it from the standpoint of, what are they getting out of it? Not, what do you do? Make it more about them and what they need and what problem you’re solving for them, and make it simple. Only talk about one thing because when you give people too many options, they get overwhelmed, and they overanalyze, and they think, “Well, what if I need this or what if I make the wrong decision?” When you guide them and you take their hand and you say, “This is what you need right now and I’m the best person to teach you how to do that.” Then they’re like relieved because you solved it for them. Lisa Linfield: 34:05 So, if you take, for example, coaching. You could charge $50 an hour, $200 an hour, $800 an hour or $1,000 an hour. We all get over ourselves that we’re worth the higher values of money rather than the smaller values of money? Because the smaller values of money are easier because your likelihood of getting rejected is less than a larger value of money. So much of our sense of self worth is if the person says, no, then they’re rejecting us rather than our product of coaching. Tara Bradford: 34:45 Right. Yes, that’s a great question. I think you need to start with a price that feels comfortable to you because you’re the one who has to say it out loud when someone says, “How much do you charge?” One activity that I do with clients who I’m working with on this exact issue is, I’ll have them say the number out loud. So, let’s start with $50. They say, “I charge $50 an hour.” Then they stopped talking. They have to sit in silence and not say anything else because the way that we look for validation and also the way we sabotage our sales is by then justifying our price. That plants the seed in the other person’s mind that you aren’t worth $50 an hour. So, we do this exercise where we say, “I charge $50 an hour.” Then pause, and sit in that uncomfortable silence and let the other person digest the information and respond without making assumptions about how they’re going to respond. That they’re going to think it’s too expensive or they’re going to question, “Well, how much do I really get?” And be concerned about the value because we’re projecting our own fears on to that potential client. Then the next step of the exercise, I have that person add a zero to the end. They have to say, “I charge $500 an hour.” Then pause and sit with that silence and see how it feels to say the larger number. What often happens is, the smaller number looks a lot more appealing to them after that and they’re like, “Oh, well, I can definitely say $50 an hour because 500 felt so much more uncomfortable.” When you start getting into the bigger numbers and someone comes to you and they say, “I charge $500 an hour.” Then they have to say, “I charge $5,000 an hour.” Then it’s freely shifting something in their mind about hearing themselves say it out loud and then digesting the information, and also being able to pause and feel uncomfortable, but not justify and not validate and not look for that external validation of their pricing. Lisa Linfield: 37:11 Also, that discomfort show must be quite something for everybody to go through. Tara Bradford: 37:18 Yes. It’s a really interesting tool. Lisa Linfield: 37:23 You know the thing is that you can say something in your mind and you can write it on paper, but actually saying it out a lot of, “I charge $500.” Or, “I charge $5,000.” You could almost feel your body kind of wanting to seize up and run away and hide. Lisa Linfield: 37:38 One of the challenges about it is that it’s such an interesting thing that, as you say, retrospectively, actually, the 50 looks quite fine. Thanks very much [inaudible 00:37:46], and you feel much more comfortable with it. 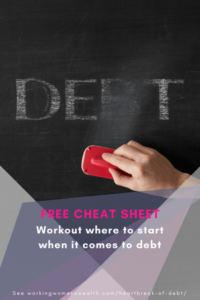 But I really, one of the things that interests me is the fact that when I first started, I would, for example, do training courses and I’ll do them for free because my passion is to teach people about money. I would get very small response rates, and people didn’t really take them that seriously. Then when I put up my prices, I had much bigger response rates, and the attendees actually really listened and focused and all of that kind of stuff. It does amaze me that actually, when people have quite a bit at stake, especially in the area of personal development. So, for example, coaching or anything to do with your personal development. That the more they spend, the more seriously they take it and the harder they work to achieve the results almost like they value you more if you charge more. Tara Bradford: 38:41 Absolutely. I’ve had the same experience. I think even for myself, when I invest more, I need to get uncomfortable if I’m going to grow. The price is the first step to getting really uncomfortable. When I’ve invested large amounts of money in my own personal development, I find that I see results before I even start working with that person because I’m focused on it and I know I’ve got a lot of skin in the game. I have invested a lot of money in this, and I need it to work and I need it to be successful so that I get my money’s worth. So, we work harder when we spend more money. Lisa Linfield: 39:25 You’ve set a goal to help 1,000 thought leaders to reach a million people by 2020. I thought this was an incredible goal because I thought by wanting to reach a million women by 2025, I was setting an audacious goal, but you’ve set one by 2020. How do you plan on achieving that? Tara Bradford: 39:46 I know. Hearing that goal spoken back to me actually sounds as scary as charging $5,000 an hour, but I think that in 2019 I have some big goals to speak to larger audiences, to teach more about publicity, to also write a book that will teach people how to build relationships. So, my hope is that I end up teaching more than 1,000 people through all of those different avenues. I’m sure there will be other ways that I haven’t even thought of yet. Maybe my YouTube channel will take off. Lisa Linfield: 40:34 Because you’ve set yourself a big goal, has it been one of those things that the bigness of the goal has made you think differently? That got me thinking that I had all these other goals of speaking at 20 conferences and speaking in different countries, and writing my book, and being featured on TV for my book. I thought, “Well, I guess I’m leaving off a lot of things that I wanted, but I didn’t want to say it out loud.” Then to put an actual number on it. How many people would be impacted by the work that I’m doing in one year was really powerful, and I had help with that. I couldn’t have done that by myself. Lisa Linfield: 42:06 If you were to achieve the goal, what would it look like personally? What would that success personally look like for you? Tara Bradford: 42:15 I haven’t even thought about it. I think for me, I’m trying to think of what would be next after 2019, what am I working towards? I think one of the most incredible things that I see happening more was, I gave a talk for the first time on Thursday, a new talk, and it was called the success side of failure. I spent eight weeks rehearsing and memorizing and practicing and then it was over in five minutes, and I was ready to move on to the next thing. I think when I look at 2019 and helping 1,000 people reach a million people, that’s one of those things where if I put in 12 months of work, then it’s over, then I’ll be on to the next thing. What happened after my talk was that the next day, I started getting messages from people who said, “The concept that you explained in a way that I had never heard before actually changed my life. Now, all of my failures from my childhood that were holding me back, I’ve let go of them and I can move forward.” Someone else sent me a message and said, “I was feeling really bummed after this disappointing thing happened and I realized I’m on the wrong side of success and failure, and you helped me see how to get to the other side so that I could actually see it as an opportunity.” I had already moved on to my next talk, I’m going to London on Thursday, and it made me pause and think about the impact that I’m making. So, I think when I reach that goal, it will be a moment of pause to really let it sink in and think about the impact it’s creating in the lives of other people, and how the next [inaudible 00:44:30] will be. How can I make this bigger? How can I make an even bigger impact the next year. But I often will move on to the next thing because it’s so familiar to me because I just did all that work and then not realize that it’s still sinking in for other people. So, I think remembering to pause is going to be an important recurring moment in my life. Tara Bradford: 45:52 Absolutely. I agree with you. For me, it starts with the impact and I know the money will come and that’s a really powerful thing when you start seeing those two working together. Lisa Linfield: 46:06 So, what is the success side of failure? Tara Bradford: 46:11 How much time do you have? Lisa Linfield: 46:13 However long you need. What is the concept of it, and how did you get into that concept? Tara Bradford: 46:19 For me, I think I have a lifetime of experience with failure. I love failing. I think it’s helped me grow immensely. I look for the lessons in every failure and even one of my mentors who runs a multimillion dollar business, he looks at me and he laughs and he says, “I don’t know anybody who can fail as fast as you and then pivot and walk away like it was nothing and have like five lessons from it that you can make yourself better from.” So, the talk is about recognizing that success and failure are the same thing, but society teaches us that they’re on opposite ends of the spectrum. I think a different perspective is to look at any given point in your life, your success and your failure in that moment are teaching you the exact same lesson from a different perspective, but the lesson is the same. So, in that sense, success and failure are the same. From the perspective of imposter syndrome, even successful people feel like failures, like they’re not good enough. So then success and failure are the same, and we’ve created this divider in the middle that’s, we call it a ceiling like a glass ceiling or a wall that’s dividing success and failure. If they’re the same, then we’re all on the side of that divider that’s failing, and so how do we move to the other side of the wall? The talk describes that wall and changes it into a rubber band, where if we’re on the failure side and we’re bouncing up against the rubber band, it creates resistance. If we accept that success and failure are the same thing and that they’re teaching us that same lesson from different perspectives, then we move to the other side of the rubber band. When we fall down into it and fail, it becomes like a slingshot that propels us forward and all we have to do is let go. All we have to do is let go of that feeling of not feeling good enough, that fear of what will happen, the expectations of what should happen. When we let go of that it doesn’t require any effort. It doesn’t require effort to make a slingshot work. You just release your hand and you release your hold on that belief that’s not serving you anymore, and then you soar. Tara Bradford: 49:00 This is the first time I’ve talked about it on a interview. So, thank you for letting me share. Lisa Linfield: 49:05 I think it’s the most amazing concept. How do you, as a serious overachiever and someone who has always done well in your life, how did you get to a stage of embracing failure because as overachievers were told that failure is bad? Tara Bradford: 49:21 It’s true. I think for me, I had to hit rock bottom a couple of times before I realized that it was good and my new belief and with this talk, I hope to show people that you don’t have to hit rock bottom in order to feel fulfilled, in order to change your life and in order to feel successful. Lisa Linfield: 49:47 Is that because people usually only change if they hit rock bottom? Tara Bradford: 49:53 I think a lot of people that I talk to have experienced very rock bottom [inaudible 00:50:00] events. For me it was getting divorced and not liking my job and different things. Getting laid off from work for some people is a rock bottom moment, or losing a loved one, or getting into a car accident. Even when I was working in the hospital, people who had strokes said it was the best thing that ever happened to them even though they had to learn how to speak again, or they had to learn how to walk again because it made them realize what was truly meaningful in their life and it changed their life forever. So, my hope is that we can find meaning in our lives without having to have one of those experiences. Not that we’ll never have a negative experience, but it doesn’t have to drag us down to the point where we feel hopeless. Yes, I mean, 10 years ago, definitely, but yet we hold so tightly on that construct of yesterday, the safe job, whatever it is, that we forget that as humans we are born to change and grow and move and that this loss that we perceive so greatly now as it changes us and as we embrace it, actually, it doesn’t hold the same meaning because you’ve changed as a human. Tara Bradford: 52:05 Absolutely. I think we are constantly changing and evolving. Lisa Linfield: 52:11 With such a great philosophy, how are you moving to widen your message beyond the people that you coach? Tara Bradford: 52:20 Definitely through public speaking and through writing and getting a book published. I am going to London this weekend to speak to a group of female entrepreneurs, and I’m working on booking some more speaking engagements in 2019, and hopefully a TED talk is in my future. Lisa Linfield: 52:42 Did you ever imagine this three years ago? Tara Bradford: 52:45 Absolutely not. Three years ago, I was terrified of public speaking, I would have never thought I would be on a podcast, I never would have been on video doing Facebook live videos or on YouTube, and I certainly would not be sharing my ideas like this. Like it’s no big deal. Three years ago, I turned bright red when I spoke in front of people, my heart was racing, I would start sweating, and I would look down at the ground and sway back and forth and cross my feet and fidget with papers so that I wouldn’t have to look at anybody, and I would talk super fast so that it would be over as soon as possible. Yes, even just three years ago, that was me and public speaking. Lisa Linfield: 53:36 What changed for you? Lisa Linfield: 54:47 I think that’s also one of the biggest transition that has happened for me is, when you start you worried what people will think of you. As in, are you talking okay? Are you presenting yourself okay, which is why one fidgets and all of that, but then as you focus outwards and not inwards, the helping people to understand that message is far more important than whether you’re having a good hair day or not. I think that’s one of the major shifts that when your focus is on serving people and helping whatever that transition is, if it’s about re looking success and failure, that message helps the hearts of all the people who listen to it. Whereas, those people would not tell you whether you’re having a good hair day or a bad hair day. They’re actually were so riveted by the message that it removes you as the object of focus and the object is your message. Whereas I think when you start you’re so worried about what people would think of me if I do a video or a Facebook Live or a podcast and everything’s not perfect, but if your focus is about the fact that if a fraction of the world could rethink the definition of success and failure, I mean, the freedom that would come through human beings all around the world would be transformational because my view is that half the people don’t ever achieve their full potential because they’re too scared of failing. That fear of failure. Lisa Linfield: 56:59 I agree with you. I mean, the amount of times people say, “Oh, you seem so comfortable.” I say, I go, “You have no idea.” It’s not that the fears go away. They just change and as you take on bigger steps, the fear just stays with you, but the 20 steps behind feels, okay, now, we’re used to feel scary, but it doesn’t mean that the direction you’re moving towards doesn’t feel just as scary as that first it felt all that time ago. Tara Bradford: 57:24 Right. I think you bring up an important point about reflection. We need to look back to see where we’ve come from so that we can solidify that lack of fear around whatever it was that we used to be afraid of. Because when we look back and we rewrite that story in our mind about what actually happened, we find that we’re replacing those beliefs with new beliefs that are helping us move forward. Lisa Linfield: 57:53 Absolutely. So many of us are focused on doing that we never take the time to reflect. They are the opposites of those of us who are spending so much time thinking and reflecting that we don’t do. It’s that wonderful thing of balance of both the doing and the reflecting. Lisa Linfield: 58:11 Tara, how did people learn more about you? I wish I could have hours, but we don’t. So, how do people learn more about you? Where did they go to see how they can move their own selves from imposter to influencer? Tara Bradford: 58:25 My website is tararaebradford.com, and all of my social media handles including LinkedIn and Pinterest are Tara Rae Bradford. So, they can find me online, connect with me, follow, I’ll follow you back. I also have a free publicity challenge. It’s a five day video series on my website at tararaebradford.com\pr-checklist. Lisa Linfield: 58:52 That’s fantastic. Well, thank you so much for your time. I really do appreciate it. Tara Bradford: 58:57 Thank you. It was so wonderful to be able to speak to you. Again, I could have talked to you for hours as well. Lisa Linfield: 59:04 Great. Have a good day. Tara Bradford: 59:06 You too. Bye, bye. Lisa Linfield: 59:07 That was Tara Bradford, and every single time I speak to her, I sit and think and think and think for another week or two afterwards on all the different elements of our conversation. Today was no different. I really hope that you enjoyed it as much as I did. Have a great week. I’m Lisa Linfield and this is Working Women’s Wealth.